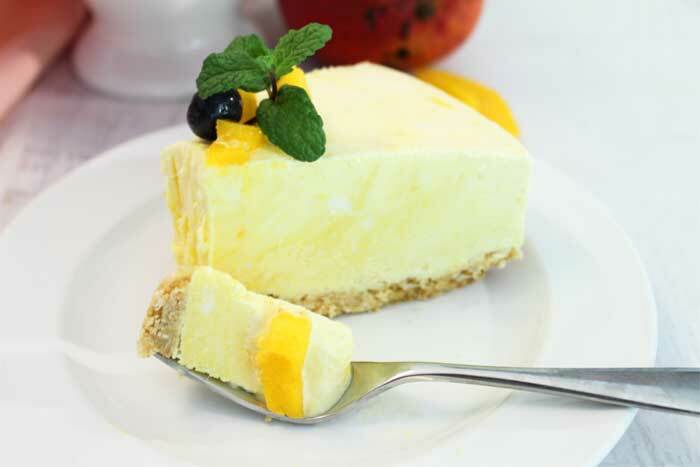 Cool off this summer with a sweet & creamy Mango Pineapple Icebox Cheesecake. 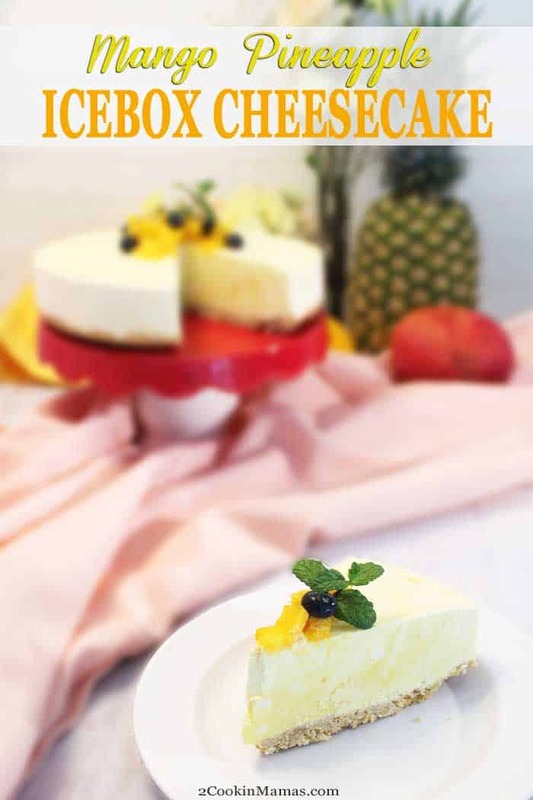 Reminiscent of a mango-flavored pina colada, this frozen no-bake dessert is a decadent mixture of cream cheese, fresh mango and pineapple, a touch of rum and plenty of whipped cream. Oh, it’s so good! So what to do with them. I froze some so I could make my favorite Mango Orange Smoothie for breakfast, baked some into my Mango Upside Down Cake, tossed up some mango salsa for grilled chicken and, last but not least, made a few Mango Pina Coladas this past weekend. And I still have a boatload left! I had a ripe pineapple to use so I combined that with the mango for an extra sweet punch. The coconut was a little harder to place and decided the best place for that was in the crust. So I changed up my normal graham cracker crust and added some coconut. And it worked better than I imagined! I wanted a little bit more rum flavor than the actual rum could give me so I added rum extract to give it that little extra flavor punch. Adding too much rum to the mix would keep the icebox cake from freezing, so extract it was. I also wanted to bring out the coconut flavor just a little more and added coconut extract as well. 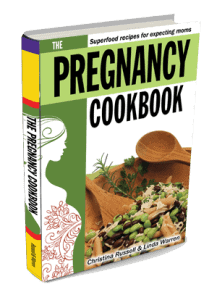 You can opt for all of one or the other of the extracts or just stick to vanilla extract. It all depends on how much you like the tropical flavors. 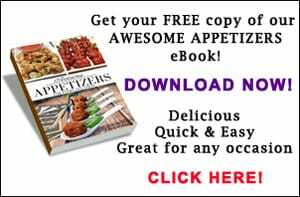 Now check out how easy it is to whip up this decadent dessert. Mix the graham cracker crumbs and toasted coconut with melted butter and press into springform pan. Freeze. 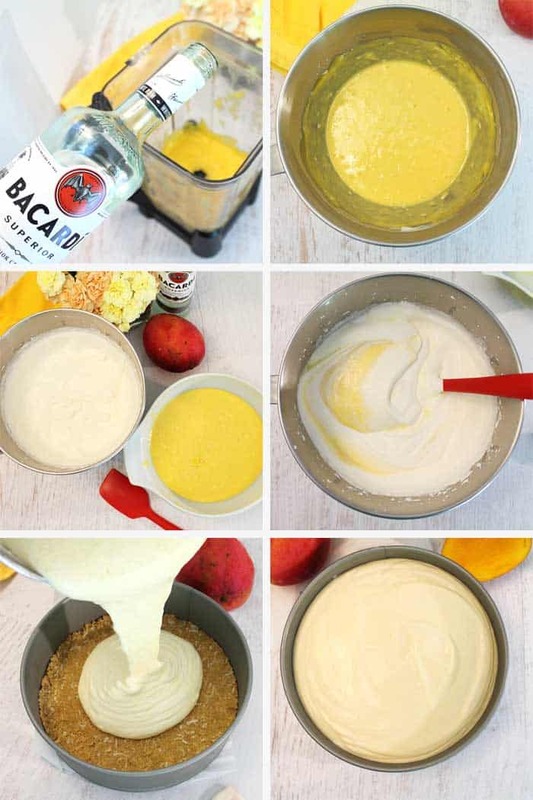 Next make the mango pineapple cheesecake mixture. First beat the cream cheese and confectioner’s sugar together until smooth. Second, cut the mango and pineapple into cubes and place in blender. Blend until smooth. Add 1/4 cup rum (or, if you like coconut, try coconut rum) and extracts into fruit and blend again. 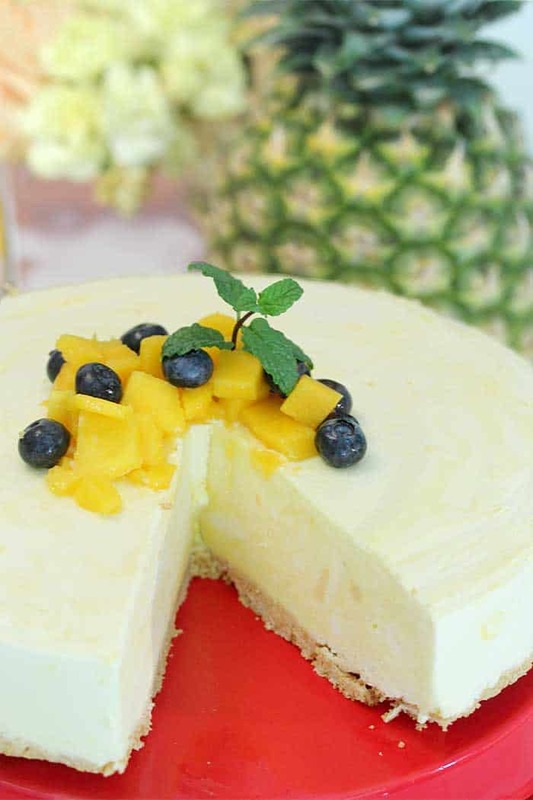 Add this blended fruit into cream cheese mixture and beat until smooth. Lastly, beat whipped cream until soft peaks form. You can also opt to use Cool Whip for a quicker no-bake dessert. Fold into cream cheese-fruit batter then pour into crust and freeze. 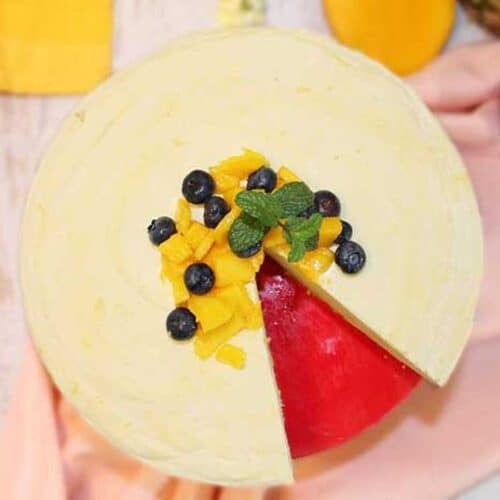 For serving, take the cake out of the freezer about 10 minutes prior to serving and garnish with extra cup mango, mint leaves and a few blueberries for color. Just look at all that creamy goodness! And that bite will just melt in your mouth! It really is the perfect dessert for a hot summer evening. Enjoy! 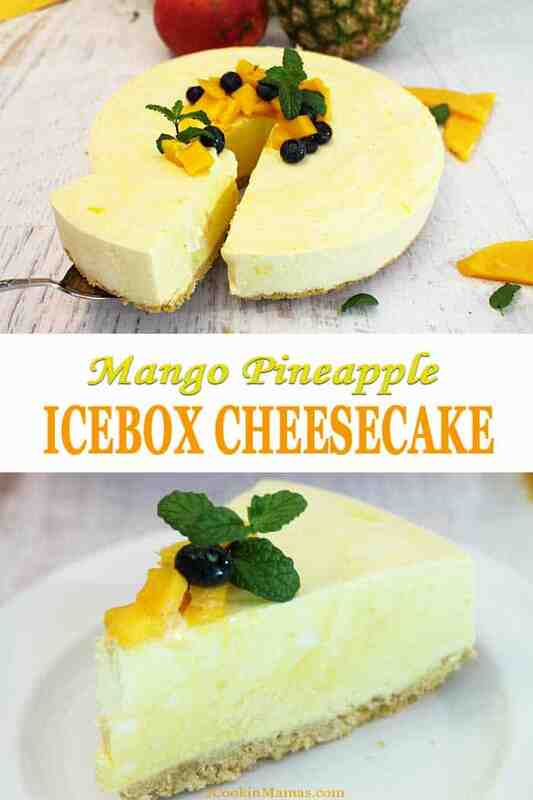 Cool off this summer with a sweet & creamy Mango Pineapple Icebox Cheesecake. 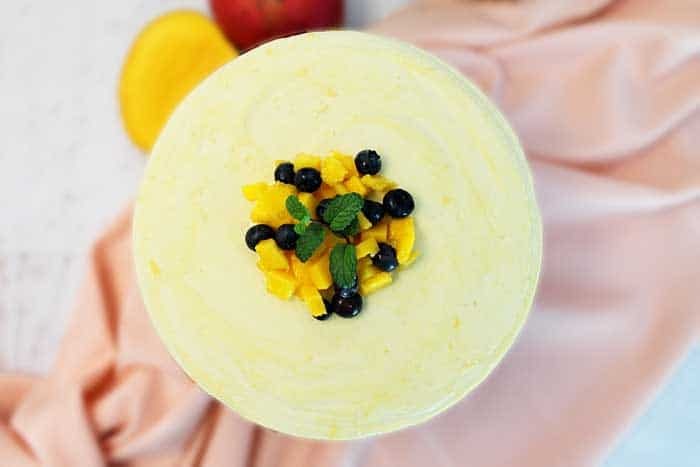 Reminiscent of a mango-flavored pina colada, this frozen no-bake dessert is a decadent mixture of cream cheese, fresh mango and pineapple, a touch of rum and plenty of whipped cream. Oh, it's so good! 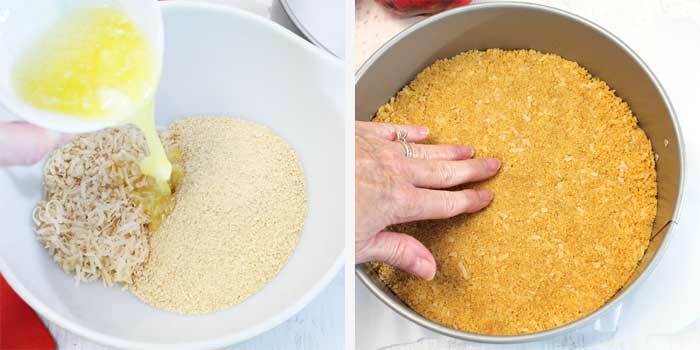 In a medium bowl, combine graham cracker crumbs and toasted coconut. Pat firmly into bottom springform pan. Place in freezer while mixing mango cheesecake mixture. 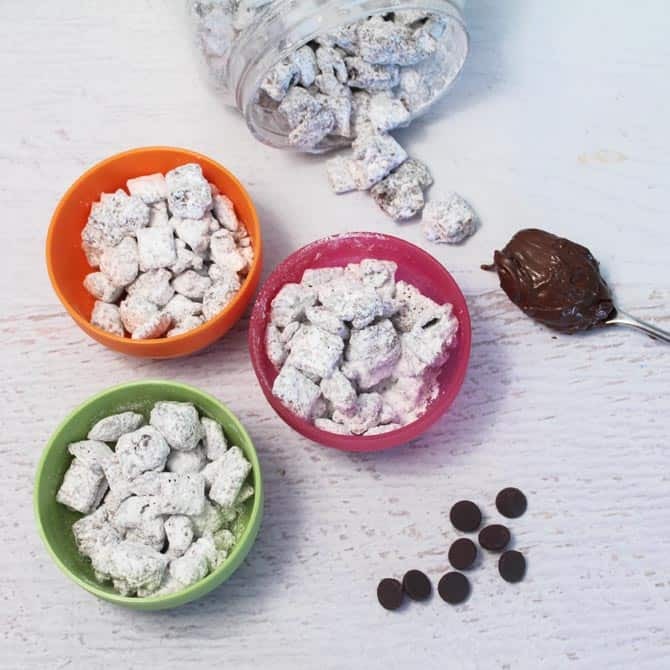 In a large mixing bowl, beat cream cheese and powdered sugar. Set aside. 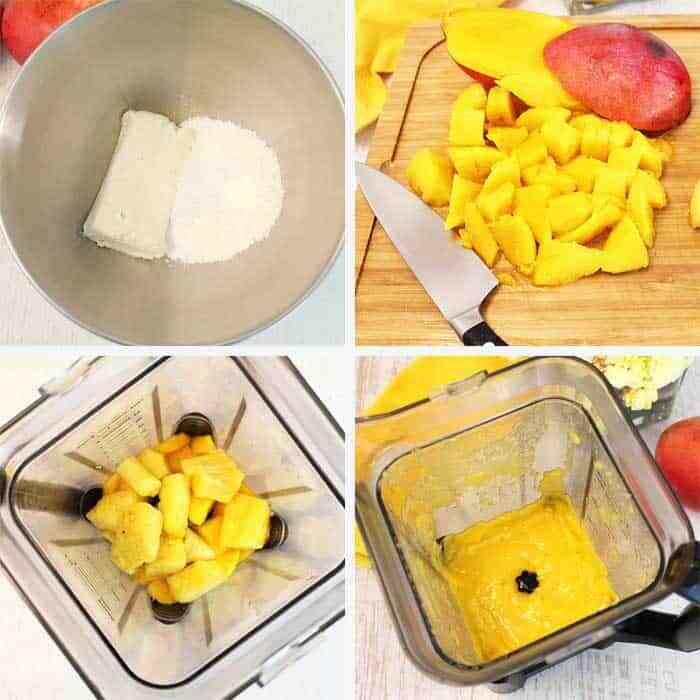 Place cut up mango and pineapple, place in blender and puree until smooth. Add rum and extracts and blend again. 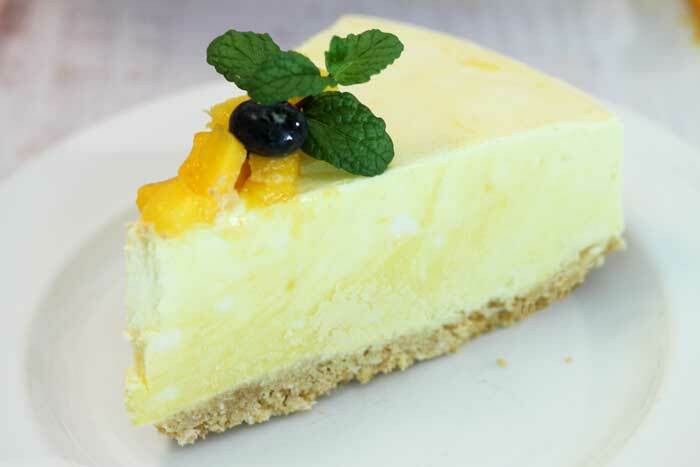 Pour mango-pineapple puree into cream cheese mixture and beat until well incorporated. Clean mixing bowl well. Add heavy cream and beat until soft peaks form. If using Cool Whip just skip this step. 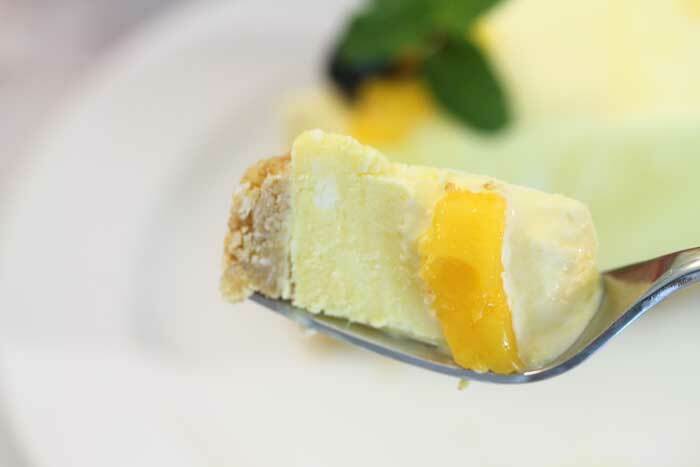 Fold whipped cream or Cool Whip into mango cheesecake mixture. Remove crust from freezer and pour cheesecake mixture over crust. Place back in freezer for at least 4 hours. 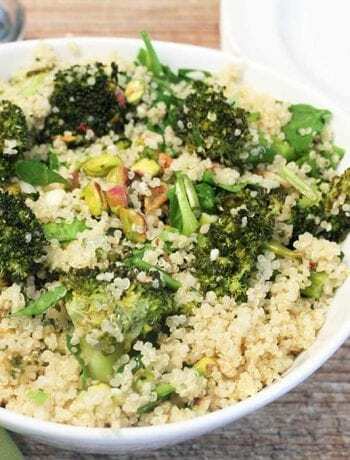 Prior to serving, remove from freezer, decorate with chopped mango and mint leaves, then let sit for approximately 10 minutes to soften slightly before serving. To toast coconut: Preheat oven to 325 degrees. Line a cookie sheet with parchment paper. Sprinkle coconut in a single layer on paper. Bake in over 7-10 minutes until toasted. Watch carefully as it can burn easily. Omg! My favorite combination. I’m from Florida so anything with mango will forever be my favorite dessert. Thanks for sharing! This is gorgeous and I love the tropical flavors! 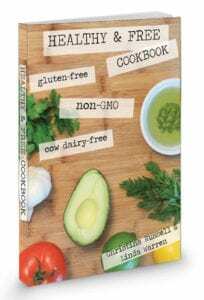 Perfect for your summer table! It sure is a delicious way to beat the heat! I love mango and it goes well with pineapple, obviously. Looks like a great easy dessert for summer. It was super easy to make and the neighbors said it was just what they needed to beat the 95 degree heat. And one of my neighbors even put the filling back in a blender with more rum and had it for a rich cocktail. Love the ideas people come up with! 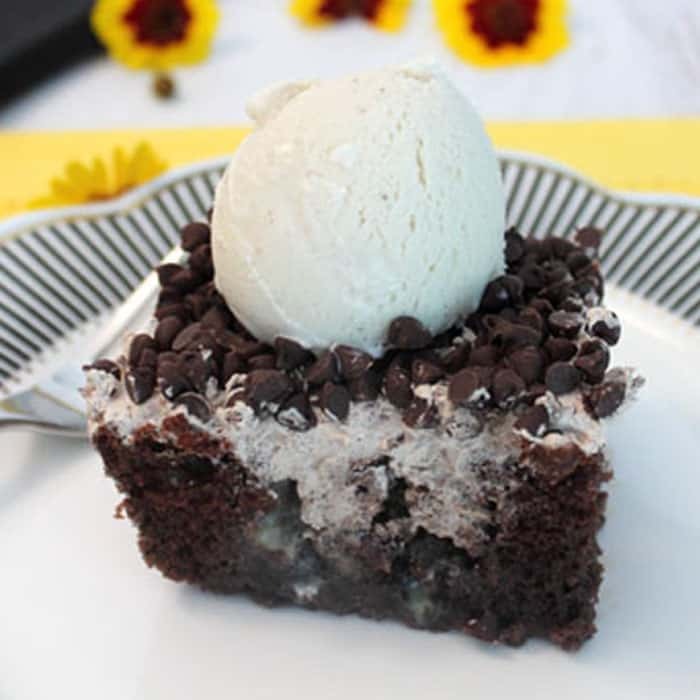 What a perfect treat for summertime – I love a great no bake dessert recipe like this! Me too! It’s the only way to go in the summer. I love mango and pineapple together, it’s a classic. This looks so easy, I’m saving this for later. Thanks for this recipe! You’re so welcome! Hope you get a chance to try it.